The perioperative period is a term used to describe the three distinct phases of any surgical procedure, which includes the preoperative phase, the intraoperative phase, and the postoperative phase. Every surgery is broken down into these phases to differentiate tasks and establish who is responsible for overseeing and delivering each stage of care. 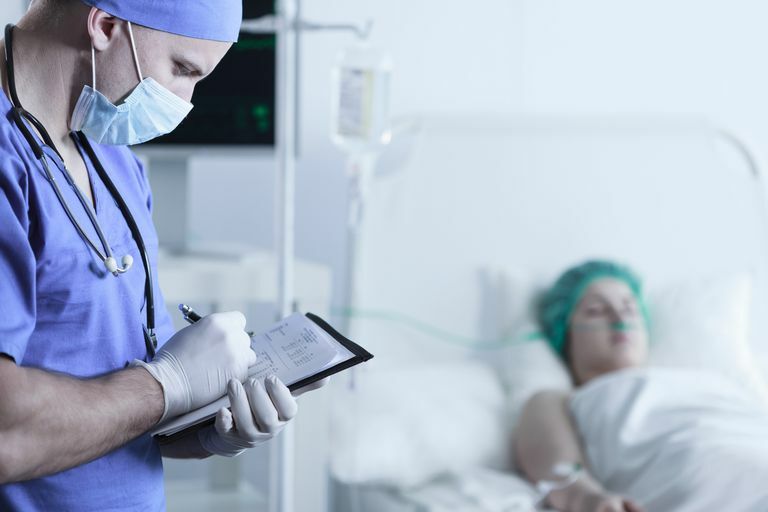 By maintaining a strict adherence to procedures and a clear chain of command, hospital teams are able to deliver consistent, optimal care from the moment a surgery is ordered to the time when a person is fully recovered. The initial phase, called the preoperative phase, begins with the decision to have surgery and ends when the patient is wheeled into surgery. This phase can be extremely brief, such as in the cases of acute trauma, or require a long period of preparation during which time a person may be required to fast, lose weight, undergo preoperative tests, or await the receipt of an organ for transplant. One of the goals of the preoperative phase is to manage the anxiety that may arise, either as result of an emergency situation or having to wait for inordinately long periods of time. Preoperative anxiety is a common reaction experienced by patients and one that can be relieved with on-going interaction with one or more members of the medical team. Prior to intake, that person will usually be the treating doctor and/or surgeon. Once a person is admitted into a hospital, patient care and oversight will typically be coordinated by one or several perioperative nurses. The second phase, known as the intraoperative phase, involves the surgery itself. It starts when the patient is wheeled into the surgical suite and ends when the patient is wheeled to the post-anesthesia care unit (PACU). During this phase, the patient will be prepped and typically given some form of anesthesia, either general anesthesia (for complete unconsciousness), local anesthesia (to prevent pain while awake), or regional anesthesia (such as with a spinal or epidural block). As the surgery begins, the patient's vital signs (including heart rate, respiration, and blood oxygen) will be closely monitored. In addition to the roles of the surgeon and anesthesiologist, other team members will be responsible for assisting the surgeon, ensuring safety, and preventing infection during the course of the surgery. The final phase, known as the postoperative phase, is the period immediately following surgery. As with the preoperative phase, the period can be brief, lasting a few hours, or require months of rehabilitation and recuperation. Postoperative care is mainly focused on monitoring and managing the patient's physiological health and aiding in the post-surgical recovery. This may include ensuring hydration, monitoring urination or bowel movements, assisting with mobility, providing appropriate nutrition, managing pain, and preventing infection.